In this study, a prototype system was designed, built and tested to classify chestnuts using impact sound signals and machine learning methods according to moisture contents. Briefly, the system consisted of a shotgun microphone, a sliding platform, an impact surface, a triggering system, a sound device and a computer. Sound signal data were acquired from 2028 chestnut samples with three different moisture levels. Acoustic signals from chestnut samples were filtered to alleviate negative effects of unwanted noise. 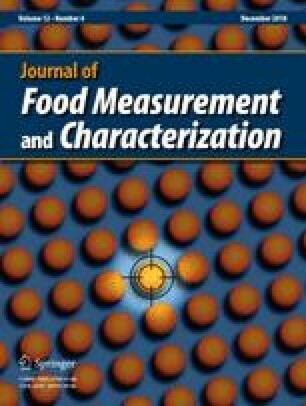 Four machine learning classifiers using three different feature sets obtained from two feature groups applying feature reduction methods were trained and tested to classify pairs of chestnut moisture group categories as 35% versus 45%, 35% versus 55%, 45% versus 55% (classification with two outputs) and 35% versus 45% versus 55% (classification with three outputs), respectively. The highest classification success (88%) was achieved for the classification application category of 35 versus 55%. This work was supported by TUBİTAK, Administration Unit of Scientific Projects (Project No. 114O783, 2016).